It's a simple con, until Mrs Green (Celia Imrie) summons the pair to her home - the orphanage that was once stage to a string of murders of young girls - and Angela grows less and less certain of what's actually real. The fake paranormal investigators suffer the ultimate reality check when they are confronted by the true horrors and terrifying past that lie hidden within the haunted orphanage. 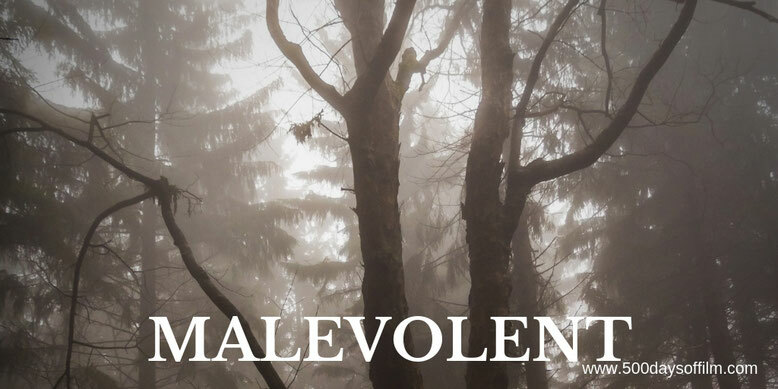 The trouble with Netflix horror, Malevolent, is that we have seen it all before - and done better. Fake paranormal investigators who bite off more than they can chew. Check. Spooky abandoned building. Check. Creepy kids. Check. Plot twists and turns. Check and check. That is not to say that Olaf de Fleur Johannesson’s film is completely lacking in admirable qualities. For example, its cast - featuring Florence Pugh (who was absolutely superb in The Falling and Lady Macbeth) and Scott Chambers (so brilliant in Chicken) - is impressive and most (give or take a dodgy accent or two) give good performances. Meanwhile, Malevolent has several chilling moments (and a couple of pretty effective jump scares). The film uses its locations well - the orphanage is suitably unsettling and the production design is admirable. However, setting this movie in an orphanage is dangerous territory for more reasons than one. A horror film about an orphanage inevitably brings JA Bayona’s The Orphanage to mind and Malevolent does not emerge well by comparison. The problem with Malevolent lies in its story. The film feels like an unsatisfactory collection of painfully obvious horror tropes (the film’s twists and turns are weak to say the least) hurled at an ultimately unconvincing group of characters. In addition, while Malevolent does get surprisingly nasty, it doesn’t have the courage of its convictions and ends up cheating its audience by the end. This is a shame as there are enough good ingredients here to make a compelling horror. Sadly, Malevolent just misses the mark. I would really recommend watching Florence Pugh in Lady Macbeth and The Falling. Likewise, do watch Scott Chambers in Chicken. If you have, what did you think of this film? Let me know by leaving me a comment in the box below. Or let’s chat over on Twitter. You can find me @500DaysOfFilm.